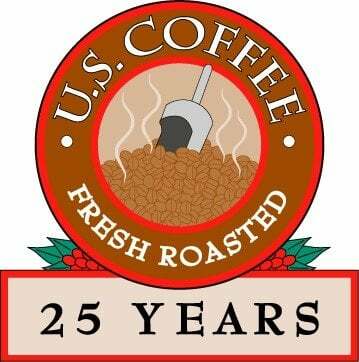 US Coffee and Tea Company has been serving central Iowa businesses, restaurants, coffee shops, churches, and hotels for almost 30 years. Our coffee is roasted fresh daily in Des Moines and delivered throughout Iowa. US Coffee and Tea is proud to work with Iowa chefs in formulating coffee blends to meet their menu's flavor profile. Chefs in training at DMACC's Iowa Culinary Institute use US Coffee. As a participant in The Greater Des Moines Partnership's "Buy Into The Circle" Campaign, US Coffee and Tea delivers coffee, tea, water, and other related break-room items to 1,000 businesses in the greater metro area. ​Our coffee, hot chocolate, cappuccino, and smoothies are served at high school outdoor athletic events, rest stops along the interstate, automobile show rooms, hotel banquets, hair salons, country clubs, theaters, and athletic clubs. US Coffee and Tea is Iowa's distributor of Keurig single-serve coffee brewers, offering 120 flavors and variety of K-Cups. ​If you are in need of high quality fresh roasted coffee for your place of work, worship, workout, or entertainment or home, please call US Coffee and Tea Company at (319) 493-0154. 1 pound whole bean coffee bags, all for $10.